This page represents my most current knowledge of the properties of the various exoplanets based on articles and papers I have read. As I hear about new discoveries, I will update this page to reflect them. This does mean, however, that the artwork and speculations on the rest of the site may be out of date compared to what is stated here on this page. Notice that this section has been recently updated to reflect more recent atmospheric models of Hot Jupiters which suggest such worlds are rendered dark by layers of sodium gas. The rest of the site will be updated accordingly as time permits. What we know about extrasolar planets comes entirely from the painstaking efforts of astronomers taking measurements of stars night after night for years. And yet, the information garnered from such observations seems miniscule when compared with our knowledge of planets in our own solar system, like Mars or Saturn. What can we hope to understand about planets whose entire identities currently rest with a series of data points? How can we come to know worlds still unknown, save for their effect on the motion of their parent stars? As it turns out, we can know a great deal. The data that we have gathered about these other worlds are telling. Their mass and orbital distance, as well as the properties of their stars, can reveal much. And, they have kindred in our own solar system for comparison. Until the next generation of optical interferometers and space telescopes provide us the first close up pictures, we will not know whether 51 Pegasi b has moons or if 55 Cancri c is girdled in a delicate ring system. But we can make speculations and extrapolations. So, what do these worlds look like? Extrasolar Visions bases its speculations on the following factors. There are many professional websites that deal with extrasolar planets. One of the most comprehensive is the Extrasolar Planets Encyclopedia, which is what Extrasolar Visions uses for its chief reference. Most extrasolar planets have been discovered via the radial velocity method, which infers a planet's orbital period, orbital distance, and approximate mass from the wobble of its parent star. So, in most cases, we have these three pieces of data from which to determine a planet's properties. 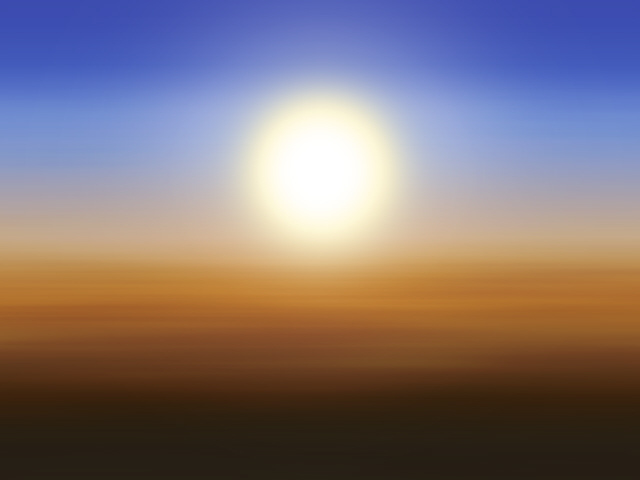 In most cases, as well, good data is available for the parent star itself, information such as spectral class, mass, radius, and surface temperature. If such stellar data is available, then the planet's temperature can be approximated. Armed with a planet's mass and temperature, we can go a long way in our speculations. Some planets have been discovered by the transit method, which detects the dimming of a star as a planet passes in front of it. Transits give us a planet's radius, orbital period, and orbital inclination (which must be near 90º for the transit to be possible). Transits also allow astronomers to probe a planet's atmospheric density by detecting the rate of dimming just as the planet begins to cross the disk of its star, as well as the planet's chemistry by detecting how the starlight is absorbed as it passes through the planet's atmosphere. If a planet is detected both by transit and by radial velocity, its total density can be determined because both the planet's radius and mass are known. The planet of HD 209458 has been detected using both these methods and much of what we know about Hot Jupiters is based on the properties of this particular world. Extrasolar Visions contains a great deal of actual data about extrasolar planets. Unfortunately, the recent pace of exoplanet discovery has been quite fast. Not only are new discoveries being made, but data about earlier discoveries are constantly being refined. I update planetary data on the site as I find out about it, but it is certainly possible that some planets have out dated information. If you have a need for the most up to date data, please use the website of the planet search that discovered the planet you are interested in or, if all else fails, check out the Extrasolar Planets Encyclopedia. Just keep in mind that the field of extrasolar planet research is still in its infancy and there is still much that is uncertain. Especially in cases where more than one planet has been found around a star or where a planet's orbital period is many years, it can be very difficult to pin down the exact properties of each world. You may even find that different planet searches have different data about the same planet. The bottom line is to take any exoplanet data as approximate. Most of the extrasolar planets discovered so far are similar in mass to Jupiter and Saturn. Many are even more massive. Like Jupiter and Saturn, these planets are probably gas giants. Such worlds would dwarf the Earth. Unlike the Earth or Mars or Venus, gas giants have no solid surfaces. If you were to try to land on such a world, you would descend thousands of miles through the clouds into an atmosphere that became progressively denser and hotter the further down you went, until the intense pressures crushed your spacecraft. Most of the mass of a gas giant is contained in this impossibly dense atmosphere of hydrogen and helium. Some gas giants may be all gas. Others may have rocky cores, only a few times the mass of the Earth, buried deep below the crushing atmosphere. Extrasolar gas giants can be smaller than Neptune, but they are not likely to be larger than Jupiter, even if they have many times Jupiter's mass. Jupiter's radius is a result of an equilibrium between the outward gas pressure of its atmosphere and the force of gravity trying to collapse it. As it turns out, adding more mass to Jupiter would only increase the planet's gravity, causing it to collapse back to about the same radius it started with. Planets with one Jupiter mass, or two, or twenty, are all expected to have radii close to that of Jupiter. 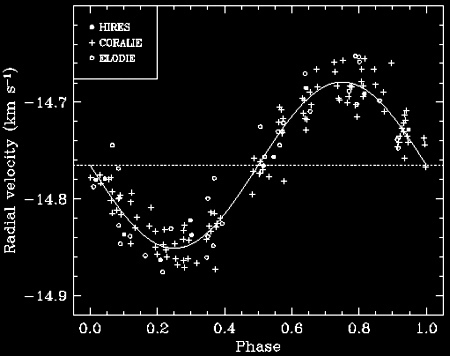 In fact, an extremely low mass star, called OGLE-TR-122b, was recently discovered with a radius very similar to Jupiter's. As stellar mass increases, the energy from thermonuclear fusion reactions in a star's interior pumps energy into the atmosphere, causing the radius to expand. Stars like the sun are more than ten times the radius of Jupiter, and some aged super giant stars would engulf the orbit of Mars if they were to be placed at the center of our solar system. But below the mass threshold needed for fusion, substellar objects like gas giants and brown dwarfs will generally collapse to the size of Jupiter. But, as with everything, there are exceptions. Gas giants at short orbital distances, the so called Hot Jupiters, are super heated by their nearby host stars. This expands their outer atmospheres giving them radii significantly larger than that of Jupiter. One such world, HD 209458 b, is known both from radial velocity measurements and from its transit across the face of its parent star. This enables us to know both the planet's radius and its mass. HD 209458 b is only two-thirds the mass of Jupiter, but because of stellar heating, it has one and a half times the radius of Jupiter. If this planet were to be moved to a more distant orbit, its atmosphere would cool and condense back to about the same size as Jupiter's. Although the atmosphere of a gas giant represents the bulk of its mass and determines its radius, most of that atmosphere is hidden out of sight deep within the planet. Only the very uppermost layers of the atmosphere provide the colors and textures seen on its surface from space. What are such colors and textures like? Jupiter is about eleven times the diameter of the Earth, yet it rotates once every ten hours. This fast rotation pulls the cloud layer into horizontal bands. Convection from the hot interior of the planet causes alternating bands to travel in alternate directions. The Earth's atmosphere behaves in a similar manner, only much of it is transparent and the wind speed is much less, so there are fewer bands and the borders between bands are less defined. On Venus, the rotation is extremely slow and there are no bands. The cloud bands of Jupiter. Current theories on how gas giants form indicate that they should form with fast rotation rates. This is borne out in our own solar system, where all four of the gas giants rotate faster than the Earth, causing their atmospheres to be banded. So we should expect extrasolar gas giants to also rotate quickly. Still, there are probably exceptions. Planets that have been involved in massive impacts or have extremely large moons may have lost their rotational energy. Tidal forces will also slow the rotation of planets close to their stars. Many of the Hot Jupiters have probably become tidally locked to their stars, causing their rotational and orbital periods to be the same. Jupiter's cloud bands are vibrant and colorful, easily seen even with a small telescope. But the bands of Saturn are more muted. And Uranus' bands are almost entirely invisible. What causes this difference? All four of the gas giants of our solar system have layers of haze above the clouds. Depending on the thickness of this haze, the bands below will either be visible or obscured. Jupiter's haze is thin, making the cloud bands stand out. On Uranus, the opacity of the haze is total, making the bands only visible through computer enhancement. The thickness of the haze layer has a lot to do with the temperature of the planet and the chemical composition of the clouds. But small variations in these factors can cause wide variations in the opacity of the haze. To understand how very similar planets can have markedly different haze opacity, compare Uranus and Neptune. Both planets are quite distant, have similar masses, and similar compositions. Yet Uranus is almost totally featureless, whereas Neptune has visible cloud bands. Though they have similar masses and are both far from the sun, Uranus and Neptune, appear quite different from each other. For reasons currently unknown, Neptune produces far more internal heat than Uranus. It is thought that this extra energy is what causes the difference in appearance. But if we only had the mass and orbital distance of these two planets to go on, we would never know which happened to be more hazy than the other. So although we can say that some extrasolar planets will be rendered featureless by thick haze, we can't know which from the limited information we currently have. Uranus may be featureless, but it certainly has color. Its turquoise hue can be seen even from Earth-bound telescopes. Neptune is deep blue. Saturn's cloud bands have the color of butterscotch. Jupiter has bands of white and brown, highlighted by storms and clouds of red and orange and yellow. Each of the four gas giants of our solar system is painted in a unique set of hues. What causes this wide range of color? Cloud composition, unstable condensates created by stellar radiation, and the absorption of light by "clear" air. But each of these is, in turn, dependant on temperature. In Albedo and Reflection Spectra of Extrasolar Giant Planets (Sudarsky et al. 2000), giant extrasolar planets are divided into five different classes based on temperature. Jupiter receives far less heat from the sun than does the Earth. Earth's clouds are made of water ice crystals. These crystals are white, so clouds on Earth appear white. But Jupiter is colder. The clouds there are mostly made of ice crystals of ammonia, which freezes at a much lower temperature than water. But ammonia clouds are still white. So what causes the other colors of Jupiter's clouds? The brown, red, yellow, and orange clouds turn out to be made of ammonia ice as well, but ammonia ice stained by more complex condensates of carbon and sulfur. These condensates are unstable and break down quickly, so they must be continually created, probably by ultraviolet radiation from the sun, to persist. But the process is not well understood. Saturn gets its butterscotch color from similar processes, only its color variations are muted by Saturn's denser haze layer. It's likely that any extrasolar gas giants at temperatures less than 150 Kelvin will share this yellow-brown color. Planets like 55 Cancri d and Gliese 777A b fall into this category. Such planets would have bands of brown, gold, and white and have albedos similar to that of Jupiter. Calculations of ammonia cloud jovian atmospheres suggest that, free of chemical stains caused by UV or other radiation, such worlds would have albedos of about 0.57 if in orbit around a G2 V star like the sun. Simulations of Jupiter using the same model and factoring in chemical stains give an albedo of 0.4, quite close to the actual value of 0.35. Note: The albedos given herein are Bond albedos. Bond albedo gives the ratio of total stellar radiation reflected to that which is absorbed. Bright planets will have albedos close to 1. Dark planets will have albedos close to 0. Bond albedo is an important factor to calculating the temperature of planetary atmospheres. The majority of extrasolar planets have been found at higher temperatures than the ammonia cloud jovians. What do planets that are only a bit hotter than Class I look like? Gas giant planets with temperatures greater than 150 K, but less than 350 K do not exist in our solar system, but we can extrapolate from the terrestrial planets in this range. Both the Earth and Mars have white clouds of water ice. Jupiter also has clouds of water ice in the warmer and deeper layers of its upper atmosphere. So we can assume that gas giants orbiting at similar distances to Earth and Mars are likely to have clouds of water ice as well, so they would appear, by and large, white. Water cloud jovians like HD 28185 b are probably covered in bright clouds of water ice, just like the Earth, and may have Earth-like moons. But, although we would find the rains on such giant planets familiar, the air itself is likely to be unbreathable methane. The colder water cloud jovians may have areas of the atmosphere, such as the poles, still frigid enough to support ammonia clouds, although the lower levels of stellar radiation received by the poles may make any brown hydrocarbon stains fainter than what is seen on Jupiter. The warmer water giants may form yellow condensates of sulfurous compounds, as on Venus, and may even have clouds of sulfuric acid. Where the clouds are at the very top of the atmosphere, the surface will appear bright white. But regions where the clouds form a bit lower will be obscured by layers of gas, primarily methane, above them. Methane scatters blue light weakly, so these deeper cloud regions will have a slight bluish tinge. Ignoring condensates, these planets would have albedos as high as 0.81 around sun-like stars. Thus, planets like 47 Ursae Majoris b or upsilon Andromedae d would be bright with bands of white and muted blues. For planets between 350 and 900 Kelvins, clouds of water ice cannot form, and there is no other stable condensate available. Such worlds would have entirely clear skies, rendering the entire planet a deep blue for the same reason that the sky on Earth is blue. Although the air around us may appear transparent, it actually scatters blue light very weakly. The more air you look through, the bluer things seem. When you look into the sky, you are seeing the black of space filtered through miles of slightly blue air. The net affect is a blue sky. This phenomenon is known as Rayleigh scattering. upsion Andromedae c is mostly blue and cloudless, but may be cool enough at the poles to sustain some clouds of water ice. The upper atmospheres of gas giants are mostly methane gas, which weakly scatters blue light just like air on Earth does. If you were looking down into a vast ocean of methane, it would appear blue. This is exactly what we would see if we looked at a cloudless gas giant, a deep blue world highlighted with white clouds wherever the temperature fell low enough. Such planets may even have "ice caps" of white clouds at the cooler poles. The blue color of Rayleigh scattering can be seen on planets of our own solar system. Mars and Jupiter appear bluer around the edge of their disks because at the edges light must travel through more of the atmosphere to reach the viewer. A dramatic example of Rayleigh scattering can be seen in recent pictures of Saturn taken by Cassini. Right now it is winter in Saturn's northern hemisphere, and the shadow of the planet's rings cause even less warmth to reach the planet's surface. The net effect of this winter cooling is that it is no longer warm enough for clouds of ammonia to form in the north. 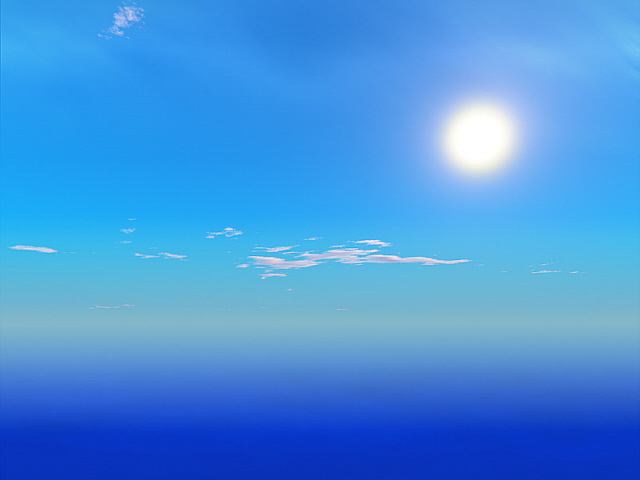 The resulting clear skies make the entire northern hemisphere of the planet appear blue. 55 Cancri b is at a temperature where the entire atmosphere is too hot for clouds to form, rendering the planet a deep blue. So, surprisingly, very warm planets would look quite similar to their more distantly orbiting cousins, like Neptune. 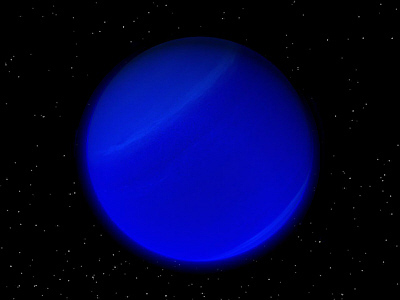 Class III extrasolar planets appear blue because it is too hot for clouds to form, where Neptune appears blue because it is too cold for clouds to form. Because of this deep blue coloring and lack of reflective clouds, these worlds would have low albedos of around 0.12 around sun-like stars. 55 Cancri b and rho Coronae Borealis b are examples of clarified jovian planets. The first extrasolar planet found orbiting a sun-like star was 51 Pegasi b. Its discovery was a triumph, but its observed properties sent shockwaves through the astronomical community. For 51 Pegasi b was almost as massive as Jupiter, but it orbited at only 0.05 AUs from its sun, far closer than Mercury. At the time, theories of planet evolution allowed giant planets to form only at distances greater than several AU, at about the distance of Jupiter from the sun. To have 51 Pegasi b orbiting so close to its star made astronomers re-examine their theories. It wouldn't be so bad if 51 Pegasi b was a rare case. But the discovery of planets orbiting 55 Cancri, tau Bootes, and many other sun-like stars have shown these so called "Hot Jupiters" are quite common, although it should be noted that current planet detection methods do favor the discovery of close in massive worlds. 51 Pegasi b's surface temperature has been calculated at over 1300 Kelvin. Other Hot Jupiters could reach over 1500 Kelvin. And these calculations only take into account heating by the nearby parent star. Like Jupiter itself, Hot Jupiters are probably radiating a great deal of heat internally. Tidal forces caused by the close proximity of their parent star would heat such planets even more, although many Hot Jupiters were probably tidally locked by their stars long ago, in which case such stellar tides would no longer be significant. What would a Hot Jupiter look like? Such worlds would be so hot that their lower atmospheres expand and become incandescent, glowing faintly red. This glow might even be visible from space, especially on the planet's night side. are buried deep beneath an obscuring layer of sodium rich gas, darkening the entire planet. But there is another factor. At such high temperatures, alkali metals become vapor. The most common of these is sodium, which is gaseous above about 1150 K. Normally, sodium absorbs narrow ranges of yellow light. But, in the high pressure atmosphere of a Hot Jupiter, atoms of gaseous sodium constantly collide with hydrogen, causing the absorption ranges of the sodium to widen. This effect is so pronounced that significant amounts of sodium in a Hot Jupiter's atmosphere can darken the entire planet, causing it to look a dark grayish brown. Recently, the presence of sodium gas has been detected in the atmosphere of HD 209458, giving some confirmation to the idea that Hot Jupiters are indeed dark worlds. Such dark worlds are called Class IV and have extremely low albedos of about 0.03 around sun-like stars. super heated hydrogen from escaping into space, forming a comet-like tail behind the planet. It is likely that the hottest and least massive of the Hot Jupiters also experience another unusual feature: atmospheric evaporation. On extreme Hot Jupiters, particles at the surface may be heated enough to escape the planet's gravity altogether and leak into space. Such planets would be enshrouded in tenuous envelopes of bluish gas far above their main surfaces. Just this sort of extended gas envelope or "corona" has been found around the transiting Hot Jupiter of the star HD 209458. 51 Pegasi b may be hot enough and of low enough mass to allow silicate clouds to form. Such clouds would float high above the sodium haze that would otherwise render the entire planet dark and unreflective. For worlds that are hotter than 1500 K or that are a bit cooler but significantly less massive than Jupiter, clouds of silicates can form close to the top of the atmosphere. Instead of dark worlds, these Class V planets are nearly as bright as the ammonia cloud jovians. But on these worlds, the clouds are vaporized rock and it rains sand. Some confirmation of the brightness of Class V giants was found in 2005, when the infrared signature of HD 209458 b and another transiting Hot Jupiter, called TrES-1, was detected directly. The Bond albedo of the 0.75 Jupiter mass TrES-1 was calculated at around 0.3, indicating that part of the planet must be shrouded in clouds of silicates. Such worlds, with atmospheres hot enough to vaporize sulfur, sodium, and possibly even lead, would be totally unlike anything in our own solar system. And what about distant Uranus and Neptune? Far colder than Class I giants like Jupiter and Saturn, the clouds of these planets are dominated by methane, not ammonia. Except for the occasional icy wisp, it is too cold on either Uranus or Neptune for clouds to form at the surface. However, clouds do form at lower depths where the atmosphere is warmer. We see little of such clouds because they lie deep below layers of obscuring methane. Methane absorbs red light and scatters blue, thus the two outer planets are dominated by blue and turquoise hues. Astronomers have not yet found planets with large orbital distances and comparatively small masses like Uranus and Neptune. But it is assumed that such worlds nevertheless exist. If they do, they probably have much in common with these two frigid worlds. As previously mentioned, Hot Jupiters have a high probability of being tidally locked. For an example of tidal locking, we need look no further than our own moon. Because it rotates at the same rate as it orbits the Earth, the Moon always presents the same face to us. The far side of the moon was totally unknown until probes were sent to beam back pictures and data to us. The reason we only ever see one side of the moon is that tidal forces long ago altered the rotation of the moon to match its revolution. For each orbit the moon takes, it rotates once in the same direction. The moon is slowly returning the favor. The Earth's day is gradually slowing. In the distant future, the same side of the Earth will always face the moon. The moon is in a 1:1 tidal lock. For each orbit, it rotates once. Jupiter has tidally locked Io, Europa, Ganymede, and Callisto in the same way. The sun has similarly locked the rotation of Mercury, but not completely. Mercury is in a 3:2 tidal lock, rotating three times every two orbits. The closer a planet is to its star, the more likely it will become tidally locked over time. Hot Jupiters are so close to their stars that it is likely that many of them have been locked by their stars. In the skies of such worlds, the star would never move, but would be forever fixed and motionless. Locked gas giants would have slow rotation rates. Most Hot Jupiters orbit their stars in just a few days. Assuming these worlds are locked, their rotations would also be a few days. Slow rotation means it's likely that Hot Jupiters have little or no magnetic fields. Tidally locked worlds might also have cooler interiors than non locked worlds, as they would no longer feel tidal stresses from their star. The atmospheres of such worlds would also be affected. If a tidally locked world had a thin atmosphere that was unable to distribute heat evenly across the planet, then the frigid temperatures on the perpetually dark side would cause the atmosphere to freeze out entirely. But new atmospheric models suggest that Hot Jupiters have atmospheres thick enough to distribute heat relatively evenly across the planet. What's more, the intense heating at the starward pole, the spot on the planet that receives the most radiation from the star, would drive extremely powerful winds. The planet itself may rotate only once every few days, but the upper atmosphere may rotate much faster, further distributing heat to the dark side. The planet Venus is in exactly this situation. Its rotation is very slow. In fact, the planet is rotating slowly backwards, once every 243 days. Yet the planet's atmosphere circulates around the planet once every four days in the opposite direction. It is currently believed that Venus' rotation has been slowed, and eventually reversed, not by tidal locking, but by friction against it thick atmosphere. Though calculations indicate that most Hot Jupiters are probably tidally locked, there are some factors that would prevent locking. Hot Jupiters with high orbital eccentricity, would not have circular enough orbits to allow 1:1 locking, although other locking ratios would be possible. Mercury, for instance, is in a 3:2 lock instead of a 1:1 lock due to its orbital eccentricity. The gravitational influence of other massive planets may also hinder locking. Finally, extremely young Hot Jupiters may not have had enough time to become locked. Many of the extrasolar planets discovered so far circle their stars in highly elliptical orbits. These orbits take their planets in close to their parent stars only to be flung out and away from them. Slowly these planets reach their maximum distance only to fall back again towards their stars. The further away the planet gets, the cooler it becomes. Over the course of the year of such worlds, the heat received from the star can vary widely. Due to its near circular orbit and low axis tilt, Jupiter has no observable seasons. But seasonal variations have been observed on both Saturn and Uranus. On Saturn, Cassini found that the axis tilt and the shadow of the planet's rings conspire to plunge much of the winter hemisphere in frigid darkness. Too cold for ammonia clouds to form, Saturn's winter hemisphere looses its butterscotch hue and becomes blue. A similar situation is seen on severely tilted Uranus. In the late 1990's, the northern hemisphere of Uranus was coming out of a twenty year season of darkness. The Hubble Space Telescope detected bright clouds forming in the warming atmosphere. The clouds and banding discovered by the HST were in stark contrast to the featureless globe found by Voyager 2 a decade earlier, proving the dynamic nature of the planet. All of the seasons in the solar system, from the familiar rhythms of the Earth to the ring shadowed winters of Saturn, are caused primarily by axis tilt. In northern summer, the north pole of the Earth points towards the sun, heating up. In winter, the north pole points away from the sun, cooling down. Storms erupt during the spring on Earth, brought on by the warming of one pole and the cooling of the other. Dust storms caused by spring on Mars can grow so large that they engulf the planet. We would expect extrasolar planets with significant axis tilts to have similar seasonal variations. We don't currently know the axis tilt of any extrasolar planet, but it is likely that some will have tilts extreme enough to have seasonal variations something like Earth's or Saturn's. Water ice clouds on a tilted clarified jovian planet may migrate south during northern summer only to return north in the winter. During these seasons, the planet might appear half-blue, half-white. The white clouds of more distant water cloud jovians may become darker in the hemisphere experiencing winter. Storms like the Great Red Spot on Jupiter may erupt as winter transitions into summer. In the case of eccentric giants, extrasolar planets with highly elliptical orbits, seasons would affect the entire planet simultaneously, instead of having opposite affects in opposite hemispheres. As the planet travels close to the star, the temperature would increase worldwide. As it drifts out away from its star, the entire planet would cool down. A highly eccentric planet might be devoid of water ice clouds when it is close to its star, only to gain more and more cloud cover as it became more distant. 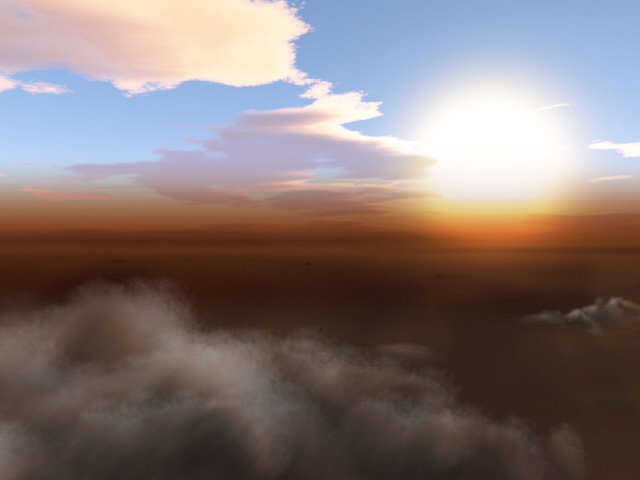 At its greatest distance, such a planet might be totally covered in clouds, and those clouds might be cold enough for brown hydrocarbon stains to form. HD 80606 b has one of the most eccentric orbits known for an exoplanet, traveling from 0.03 AU to 0.84 AU from its star. This extreme orbit takes it from Hot Jupiter temperatures close to the star to water cloud jovian temperatures at the most distant point in its orbit. Every 112 days, the surface of the planet may transition from a cloudless deep blue to the brilliant white of global water ice clouds and back again. 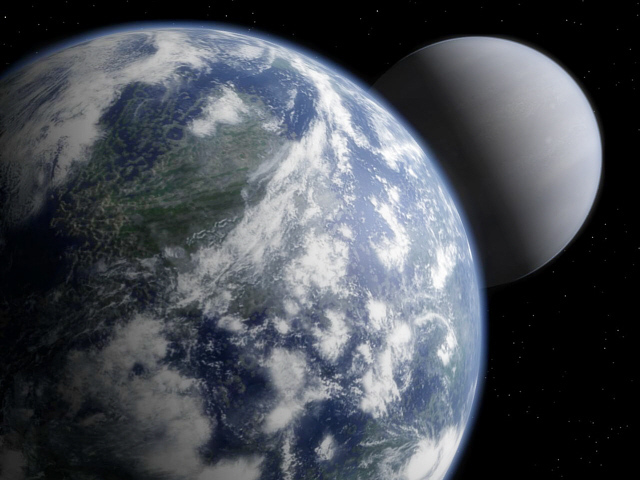 The most commonly noted parameters of an exoplanet are its mass and its orbital distance. This is fine when assuming that the planet's star is much like the sun. But many of the exoplanets orbit stars that are brighter or dimmer than the sun. This means that the effective temperature of such planets may be greater or less than what they would be if they were orbiting in our own solar system. And in the end, temperature is more important to understanding a planet than distance. An excellent example of this is found in the Gliese 876 system. Here, astronomers have discovered two gas giant planets. One orbits at a mean distance of 0.13 AU, the other at 0.23 AU. Both of these orbits fit easily within the orbit of Mercury, so one could assume that the inner planet is a Hot Jupiter and that the outer is probably a blue clarified jovian mostly devoid of clouds. The problem is, the parent star of this system is a red dwarf, both dimmer and cooler than the sun. Calculating the effective temperatures of the star's planets reveals them to be relatively cool. Temperature wise, the inner planet is in a loosely Earth-like orbit, and the outer is equivalent to Mars. Given this, both worlds are probably water cloud jovians. We really don't know which planets will have rings or moons, and will probably not know until they are directly imaged. 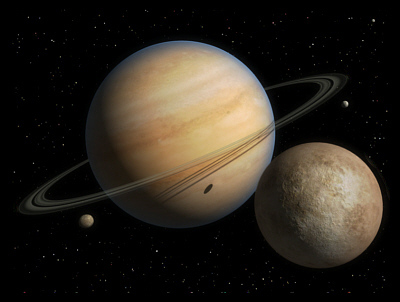 However, all four of the gas giants of our own solar system posess systems of both rings and moons, and all of the other planets save Mercury and Venus have moons. So it seems likely that many exoplanets will have rings and most will have moons. Unfortunately, we can know little about extrasolar rings other than what their composition would be if they exist. At high temperatures, they would be dusty or composed of relatively dark rocky material. Farther out, they would become more icy and brighter, like the rings of Saturn. The size and complexity of such rings would depend on how the rings had formed and how old they were. Dust rings formed by outgassing moons or multiple small collisions would be dark and tenuous. The destruction of a large moon might generate prominent bright rings. These sorts of events could happen independent of the mass or orbital distance of the host planet. So other than the material they are composed of, the nature of extrasolar ring systems is almost entirely speculative. Certainly, many planets possess rings. But which ones, we cannot know based on the current data. The rings of 55 Cancri d.
Extrasolar moons are just as speculative. But the example of Mercury and Venus does offer us limits. Given stellar tidal forces and slow rotation rates, planets close to their stars probably lack moons of any permanence. Hot Jupiters probably formed far from their stars and may have once had a retinue of moons, but these moons would have long ago been lost or destroyed as their parent world drifted closer to their star. Today, such Hot Jupiters may possess the occasional captured asteroid, but the orbits of such companions would be unstable and would eventually lead to their destruction. Just like their ancient predecessors, the captured moons would either break up within the planet's Roche limit or impact the planet's surface. But what about those more distant planets that are lucky enough to retain a family of moons? What would they be like? Two factors can give us a clue. One is the mass of the planet. In general, a more massive planet will have the potential for more massive moons. Jupiter has four large moons that would easily qualify as planets in their own right if they were orbiting the sun directly. Saturn has a host of smaller moons and one large moon, Titan, that rivals the big moons of Jupiter. Uranus and Neptune both have smaller moons, but many of them are still massive enough to be spherical and one, Neptune's Triton, is larger than Pluto. Given this sort of progression, it seems safe to assume that some of the more massive exoplanets might have moons as massive as Mars or even the Earth. But this kind of speculation should be taken for what it is, speculation. After all, the Earth's own moon dwarfs the moons of Uranus even though Uranus dwarfs the Earth. It seems quite possible that some exoplanets will have only tiny asteroid like companions despite their great mass, where others may actually be double planets, where a significant portion of the mass we can detect is actually contained within a supermassive moon. There may very well be worlds as massive as Neptune or even Saturn in orbit around some of the more massive exoplanets that have been discovered. There is just no way of knowing. One aspect of potential extrasolar lunar systems can be calculated, however. The maximum distance for which a lunar orbit will be stable around a planet is the point at which the gravity of the planet begins to give way to the gravity of the star. This gravitational sphere of influence is called the Hill sphere. The more massive a planet is, and the more distant it orbits its star, the larger its Hill sphere will be. Despite Jupiter's great mass, the Hill sphere of Neptune is actually larger, due to the eighth planet's greater distance from the sun. The Hill sphere puts constraints on the likelihood a given planet will be able to capture wandering asteroids or planetoids. The Hill sphere of Jupiter is 0.355 AU, where the Hill sphere of 51 Pegasi b is a mere 400000 kilometers. Thus it is much less likely for 51 Pegasi b to capture an asteroid than Jupiter. Assuming that a planet has a moon as massive as Io, Ganymede, Mars, or even Earth, what would such moons be like? This question brings us to the second factor, the effective temperature of the parent planet. Fortunately, our own solar system offers ample examples of small bodies at various temperature ranges. Moons of clarified jovians and water cloud jovians would be barren and rocky like Mercury or the moon. If they are massive enough, such moons might possess atmospheres of carbon dioxide and nitrogen. Water cloud jovian moons may hold frozen lakes of water ice on their surfaces. 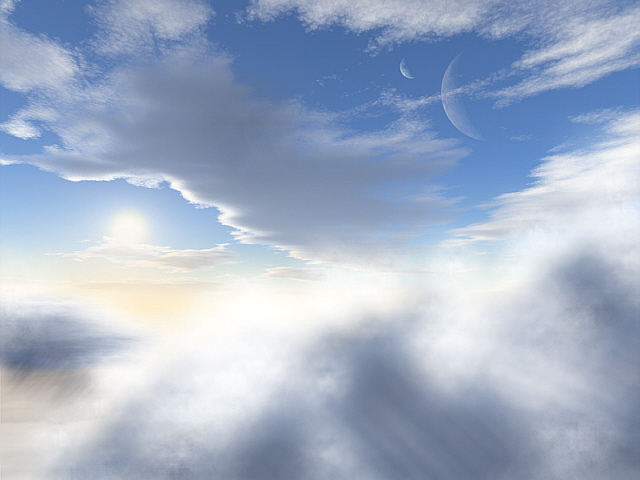 Earth mass moons of water cloud jovians may even be capable of maintaining thick atmospheres, oceans of water, and life. Farther out, moons would begin to freeze and contain more and more water ice like the moons of Jupiter. Water ice gradually replaces rock as the primary component of moons around planets of Saturn like temperatures. Recent discoveries on Saturn's moon Titan reveal a world with mud flats and rivers much like the Earth, but where water ice takes the place of stone and liquid methane takes the place of flowing water. At even greater distances from the star, methane freezes solid and nitrogen becomes liquid. Neptune's moon Triton has nitrogen geysers that explode over plains composed of methane and water ice. Moons as massive as the Earth will be tectonically active for billions of years due to heat stored in their molten cores. But smaller moons will tend to be inert. Yet many of the moons in our own solar system are far from quiet, despite their small mass. The ice geysers of Triton have already been mentioned. Saturn's moon Enceledus appears to be contorted by tidal stresses and few craters dot its relatively young surface. Europa as well is cracked and craterless and probably possesses an under ground ocean, miles thick, kept liquid by friction generated by the tidal forces of its sister moons and its giant parent, Jupiter. Another moon in from Europa brings us to Io, the most volcanically active object in the solar system. An Earth-like moon orbits a water cloud jovian. Given all these examples, it stands to reason that extrasolar moons in close orbits to their parent planets will be geologically active due to tidal forces just like their kin in our own solar system. There will surely be a multitude of barren and cratered lumps of rock or ice orbiting the various exoplanets. But around some of them, there may also be rocky worlds as massive as Mercury covered in lava flows and sulfur seas due to the gravitational influence of their clarified jovian host planets. Perhaps somewhere there are moons as massive as Earth with frozen surfaces above deep oceans of water through which toxic fumes bubble from undersea fumaroles, eventually reaching the surface to form thick atmospheres of sulfur and carbon dioxide. And perhaps, where conditions are perfect, there are moons where water can exist as liquid in the open air and form oceans, where the radiation from the parent star and planet is kept at bay by a strong moon-wide magnetic field, and where the atmosphere is in a strange state of imbalance indicating that here, a chemical process has been set in motion that uses organic material to generate energy. A chemical process called life.